Made from premium compounds under the tightest manufacturing controls, the low-outgassing FIT-221 LSZH tubing features a shrink ratio of 2:1, temperature range of -55°C to +105°C, and ten sizes ranging from 3/64 to 1 in diameter. A unique adhesive filler, FIT-FILL is amber bead-like balls of adhesive that are ideal for use when additional adhesive is needed, or when the tubing does not effectively cover the desired locations. 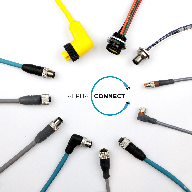 Available in packs of 1000, FIT-FILL is an ideal complement to FIT heat-shrink tubing for applications involving multiple wires in a tubing array, where the tubings inner adhesive does not touch the inner wires. FIT-FILL aids in creating a better tubing-to-cable seal to prevent water entry, while providing extra protection to maintain the integrity of the cable. For additional information, contact Alpha Wire at 800-52-ALPHA (522-5742) in North America, 800-288-8809 in Europe, and 21-61498201 in Asia. Also, please visit our website to download data sheets, access search filters, and request free samples of FIT tubing and FIT-FILL.